Food For Thought Denver has added a couple of new schools to our list, and we couldn’t be prouder of this amazing partnership and all the possibilities working together is going to mean for our future. Let’s dive into each school. Childhood hunger is not limited to elementary school students. Thousands of high school students across Colorado face food insecurity issues every day. At Denver’s South High School,Food For Thought is helping needy students deal with these problems. Last year Food For Thought opened the South High School Food Bank. The Food Bank is open every Friday afternoon during the school year from 2:50 to 3:45. Students are encouraged to fill a bag (or two) with food from the Food Bank shelves. 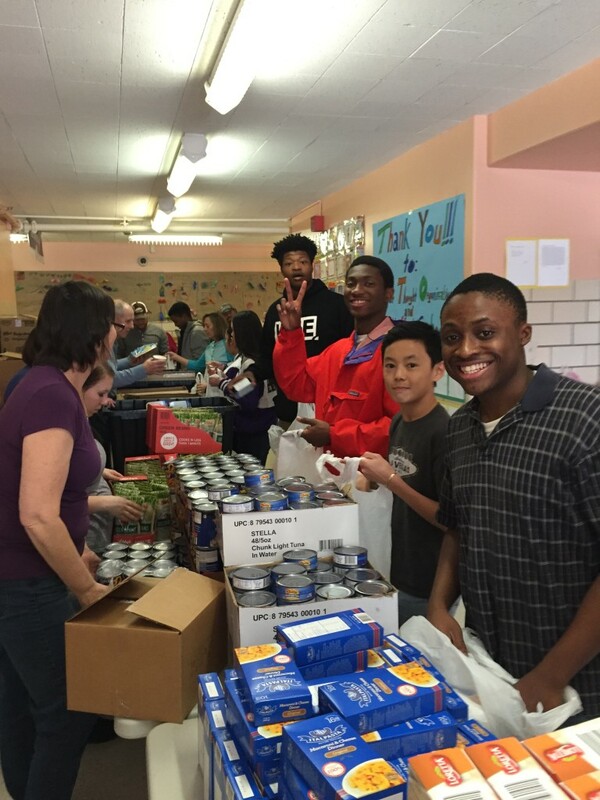 Initially only 10-15 students took advantage of the Food Bank when it opened in November of 2015. Now between 75-90 students come to the Food Bank every week. The food and personal care items are provided by an extraordinary partnership between Food For Thought, the South PTSA, the South Student Senate, and the South High School community. We have a group of 14 volunteers: parents, neighbors, and friends who give their time regularly to pick up food, stock shelves, and staff the Food Bank on Friday afternoons. Our vision for South’s Food Bank is quite simple: “We will ensure that NO South High School students go to sleep hungry at night because they do not have access to food.” We have the will, resources, and support to make that happen. Arranging weekly volunteers to un-box food, create an assembly line, and fill enough Power Sacks for an entire school is always a challenge. 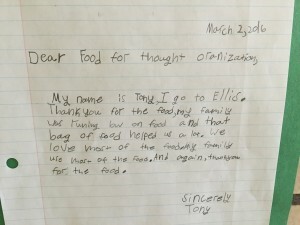 So when Food for Thought was considering the addition of Ellis Elementary School to the Food For Thought family, we looked for a new and creative way to identify volunteers. Each week a team of 10-15 students from Denver’s South High School drive to Ellis Elementary between 2:00 and 2:30. When they arrive these students join a small team of adult volunteers to pack 525 Power Sacks for Ellis’ students. Working together the team is able to assemble those Power Sacks in about an hour. In addition to providing weekend food bags to the Ellis students, the program is important to the South High School community. Ellis Elementary School is a “feeder school” to South. Some of South students have brothers, sisters, cousins, and friends at Ellis. Some of the Power Sacks are going directly to their community. The weekly Power Sack program also provides a regular opportunity for South students to give back their community and earn community service hours. 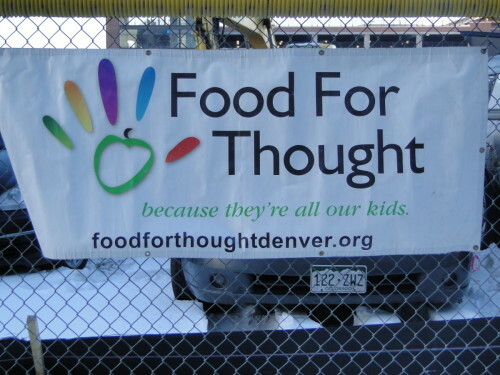 The partnership between Food For Thought and South High School is unique in Colorado and a potential model as Food for Thought expands to other schools. We are a group of residents of a large condo complex near South. Having just read The Outsiders we are wondering how we might help those and other students in need. The food bank seems like an obvious choice. Do you need contributions of help, food, funding? Looking forward to your response.